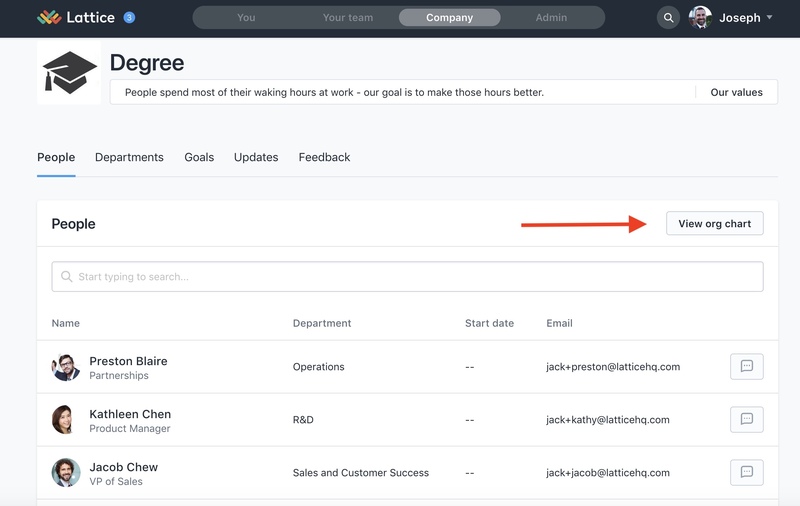 Once your employees have been uploaded into Lattice, the first thing we recommend doing is checking the org chart. It's really important that all reporting structures are correct, as this has an affect on all of the tools and visibility settings associated with those tools. To make changes to the org chart, you'll need to change the employee's manager.